Get best-in-industry Racquetball Facility Insurance at affordable rates. 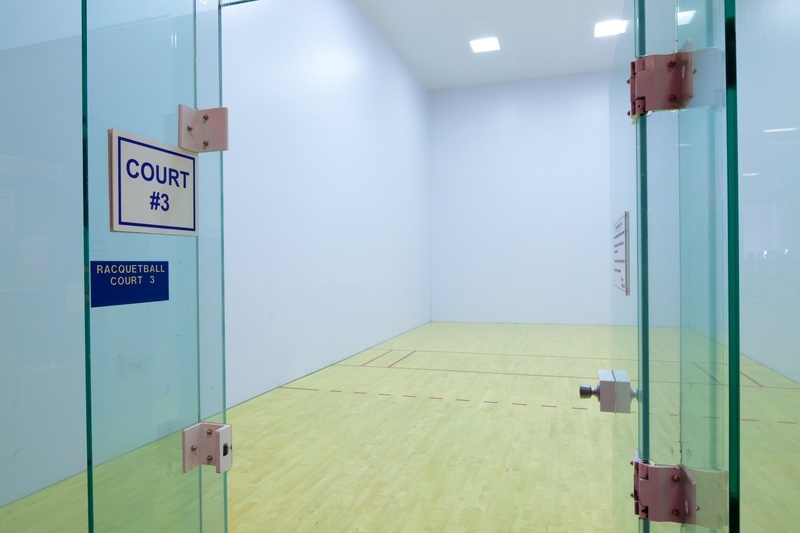 Racquetball courts and clubs are now typically found in fitness centers that offer not only racquetball, handball, and tennis, but also include weights and weight training, fitness classes, yoga classes, and other exercise equipment (treadmills, stair climbers, stationary bicycles, and ell iptical trainers). Most racquetball clubs appeal to the serious exerciser and require some type of membership. Hours of operation vary from city to city, but most are open seven days a week, from early in the morning to late at night. Many clubs offer child care, a snack bar, outdoor tennis courts, spa facilities, and locker rooms in addition to the weight and exercise equipment. Main areas include the courts, check-in desks, and rental equipment. The peak season for most clubs is during the cold winter months. hiring and training of child care workers. Accidents are rare at a racquetball facility, but they can happen. Errant balls can cause injury to unaware players; racquets can accidentally be slung from a player’s hand. Improper lifting of weights or ignoring personal limits can cause injury. Participants in classes can fall and injure themselves. New members are especially vulnerable to injury if they fail to follow rules for playing and/or training. The best protection for you and your racquet/fitness club members is to have both Accident and General Liability insurance with sufficient limits for proper coverage in the event of an injury and/or ensuing lawsuit.